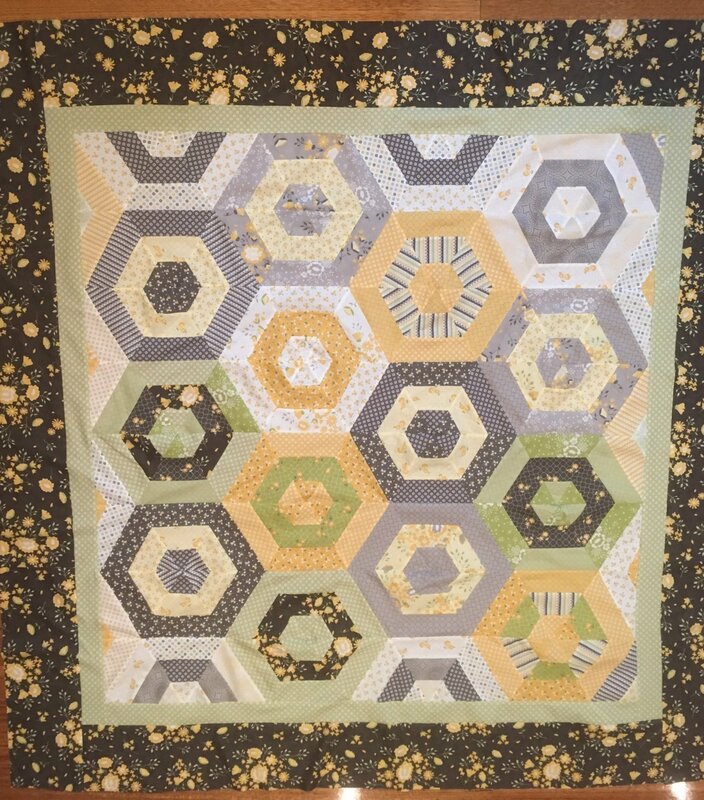 Handmade hexagon quilt. 100% cotton fabrics with machine washable batting. Machine quilted.